OPEC monthly: Yesterday saw OPEC release its latest monthly oil market report, where the group reported that production over the month of December totalled 31.58MMbbls/d, down 751Mbbls/d MoM. The bulk of the cut unsurprisingly came from Saudi Arabia, which reduced output by 468Mbbls/d. Whilst Libya and Iran saw declines of 172Mbbls/d and 159Mbbls/d, respectively. The group left their global oil demand growth forecast for 2019 unchanged at 1.29MMbbls/d, which compares to their 2018 demand growth estimate of 1.5MMbbls/d. On non-OPEC supply growth, the group slightly revised its 2019 forecast down by 60Mbbls/d to 2.1MMbbls, on the back of lower production from Canada. This morning will see the IEA release its monthly oil market report. ARA refined product inventories: According to PJK International, refined product inventories in the ARA region increase by just 20kt over the last week to total 5.72mt. Middle distillates saw the biggest builds over the week with gasoil stocks increasing by 47kt, and jet fuel inventories up 52kt. Despite the gasoil build over the week, inventories remain near the five-year low for this stage in the year. Meanwhile, jet fuel inventories are more comfortable and are broadly in line with the five-year average. Copper breaks above US$6k: LME copper has broken above US$6,000/t this morning following a Wall Street Journal report that the US Treasury Secretary proposed lifting trade tariffs on China, something that the Treasury Department quickly denied. Another set of trade talks is set to take place at the end of this month, with China’s Vice Premier visiting the US. While trade talks are likely to dictate price action in the near term, we do remain constructive on the outlook for copper prices, given tight inventories and the deficit outlook. 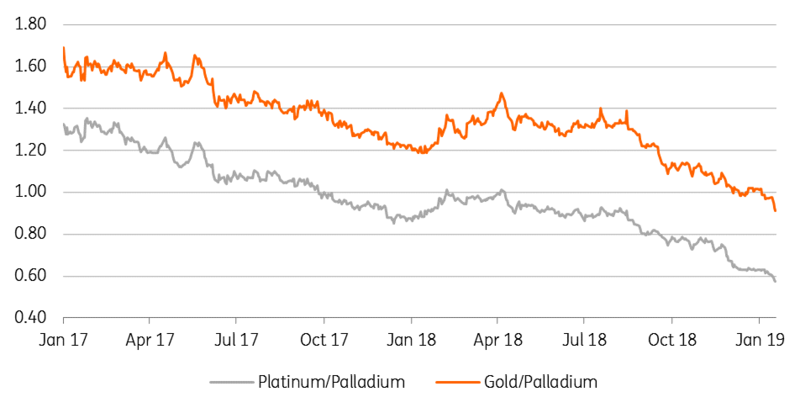 Palladium strength: Palladium prices have continued to strengthen, with the market breaking above US$1,400/oz, which has taken the platinum/palladium ratio to below 0.6, whilst the gold/palladium ratio continues to edge towards 0.9. The palladium market continues to be tight, which has seen industrial users turning to ETF holdings for physical supply. It would be interesting to see how speculators are positioning in the market, however due to the US government shutdown, the last Commitment of Traders report is from mid-December, when speculators held a net long of 13,520 lots. Argentina grains: In its latest report, the Buenos Aires Grain Exchange cut its forecast for soybean area in the country for the 2018/19 crop due to rains, which have delayed plantings. 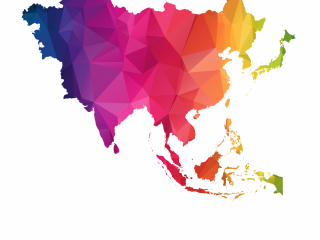 The Exchange now forecasts total area at 17.7m hectares, down from its previous forecast of 17.9m hectares. Meanwhile, corn area has been left unchanged at 5.8m hectares. Finally, the exchange also reported that the country’s wheat harvest is now complete, with production estimated to total 19mt, up from 17.8mt last season. North American cocoa processing: The National Confectioners Association reported yesterday that North America cocoa grinding in 4Q18 increased by 1.2% year-on-year to total 117,526 tonnes, which was well below the 2.5% increase the market was expecting, according to a Bloomberg survey. This is a similar trend to what was seen in Europe, with the European Cocoa Association earlier this week reporting a 1.6% YoY increase in European grindings, compared to market expectations of around 2%.